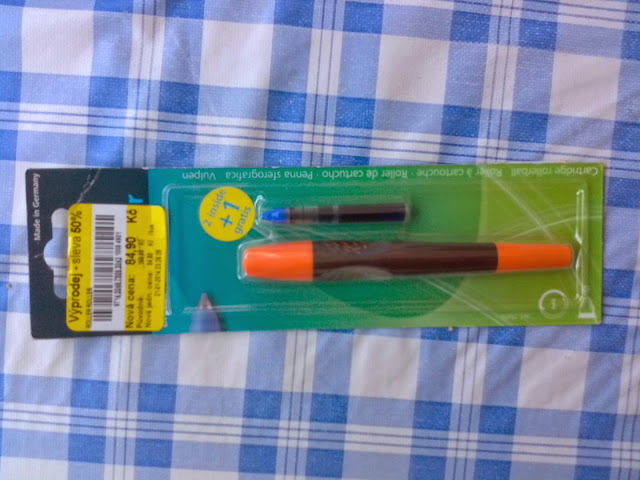 After long months of not blogging about pens, I stopped by Tesco to buy something to eat. Big mistake. Not only I left without a snack, but I also bought a pen! A Schneider Breeze. And now I have something to blog about! Yes, I am officially crazy, but I am proud of it. These pens along with Stabilo S-move and Pilot Frixion are now used by 1st years in schools to learn to write, once the young pupils master the complex curves of Czech cursive (the printed-looking Comenia Script is used by some schools too) with a pencil. I have a bunch of pens waiting for reviews sitting on my desk and I hope they are going to get the chance.